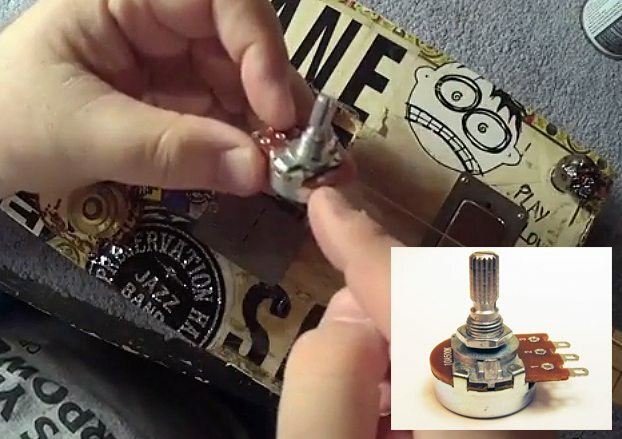 Shane Speal | The How-To Repository for the Cigar Box Guitar Movement! 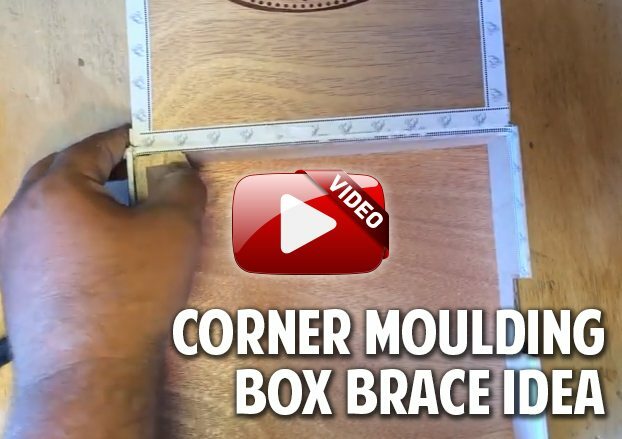 Shane Speal returns with another quick and easy building lesson. See how to make artistic pickguards from found objects such as tobacco tins and old steel beer cans. 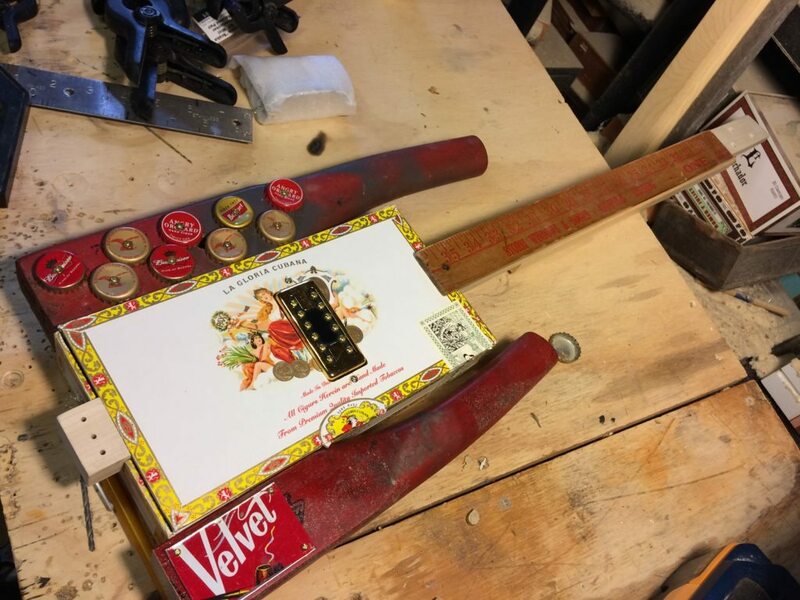 We’ve just aHave you ever installed a volume pot on a cigar box guitar only to find that it was almost impossible to turn? Shane Speal (shanespeal.com) shows how to use contact cleaner to “break-in” new post, clearing away internal grease that may inhibit rotation. 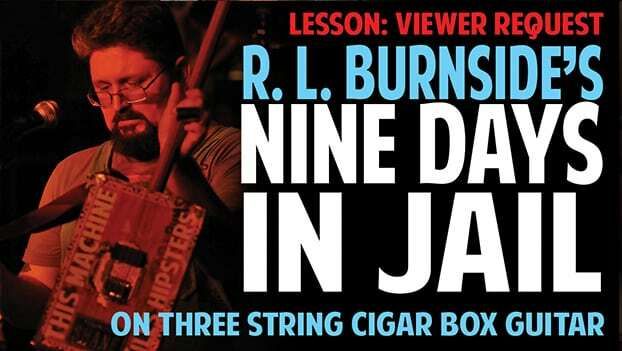 Musician, Jim Morris recently posted this video at CigarBoxNation.com featuring a duet of himself and Noah Cline on gourd instruments. 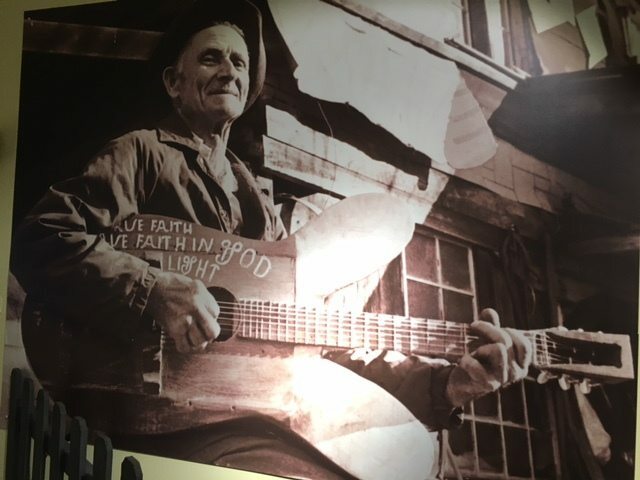 The five string banjo was built by Cline and the fiddle was crafted by Morris. They are playing the (very appropriate) traditional song, Sugar in the Gourd. Ed Stilley’s Guitars – as photographed by Bill Jagitsch. Here is the entire photo gallery of his visit. Shane Speal shows his method of woodburning art onto cigar box guitars. The simple setup uses art that was printed out on paper and transferred to the wood using old fashioned carbon paper and pencil tracing. He demonstrates the technique using a C. B. Gitty “Gittylele” uke kit. (http://cbgitty.com/gittylele). 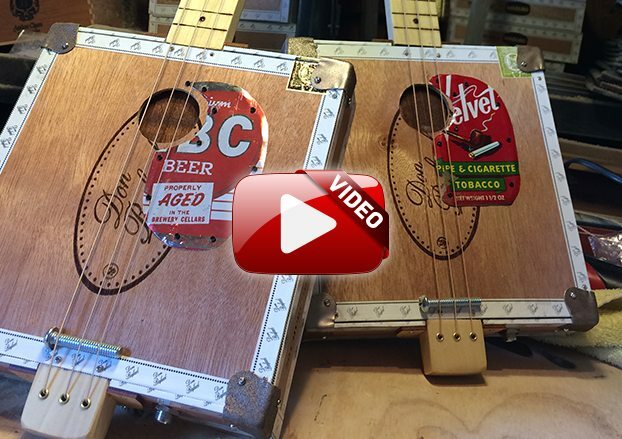 Shane Speal shows off an Esus2 tuning (E,B,F# low to high) on a 3-string cigar box guitar. This is tuning in fifths, similar to the tuning styles of mandolins and violins.